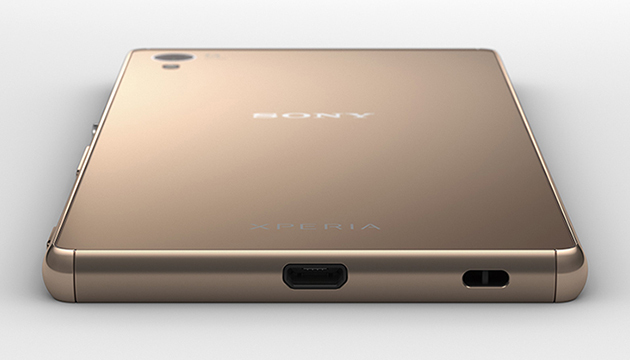 Sony announced the Xperia Z4 for Japan last month, but this isn't it. Well it is, but internationally Sony wants it to be known as the Xperia Z3+. Truth be told, that's a more appropriate name for the phone, given the incremental upgrade it represents over last year's model. The Z3+ may look virtually identical to its predecessor, but internally it has almost everything you'd expect from a 2015 flagship. Let's start with what hasn't changed: the 5.2-inch 1080p IPS display. Our review of the Z3 found it to be excellent, and HTC also stuck with its 1080p unit this year, but there's no hiding from the fact that Samsung and LG have higher resolution units in their latest flagships. The Z3's 20.7-megapixel main camera is also carried over, with Sony focusing its attention on an all-new 5-megapixel selfie cam, which represents a solid upgrade from last year's 2-megapixel shooter. As you'd expect, the Z3+ is powered by Qualcomm's best, the octa-core Snapdragon 810 processor paired with 3GB of RAM, which should keep Android 5.0 chugging away nicely when compared to the Z3's 801. In order to reduce the Z3+'s dimensions (it's 6.9mm thick, compared to 7.3mm last year) the battery has been cut from 3,100Ah to 2,900mAh. Hopefully the 810's four low-power cores will mean that reduction won't affect real-world battery life -- Sony isn't sharing usage figures yet, only declaring "up to two-day battery life." You probably noticed already just how similar the Z3+ looks to the Z3, but there's one change worth talking about. The micro-USB port has moved from the top left, down to the bottom of the phone -- no longer hidden behind a fiddly cap. Sony says this new capless port doesn't affect the phone's IP65/68 dust and waterproofing certifications. The magnetic charging pins, which used to live just below the charging port, have also been removed in pursuit of "an overall more seamless and minimalist design." The Z3+ will be available this summer at an unknown price -- we'd imagine it'll sell for about the same as the Z3 at launch. Last year's model was very well received, but Sony was still blown away by its competitors in terms of sales. Given Sony's two most-prominent rivals in the west, Samsung and Apple, have taken big leaps forward with the S6, S6 Edge, iPhone 6 and iPhone 6 Plus, it's difficult to see the Z3+ making much of a dent in either's profits. Sony is in a holding pattern with its smartphone business. It needed to do something big with this latest flagship, but is instead offering yet another moderate upgrade. Maybe next year.